How best to cool off after a day in the Colorado summer sun? 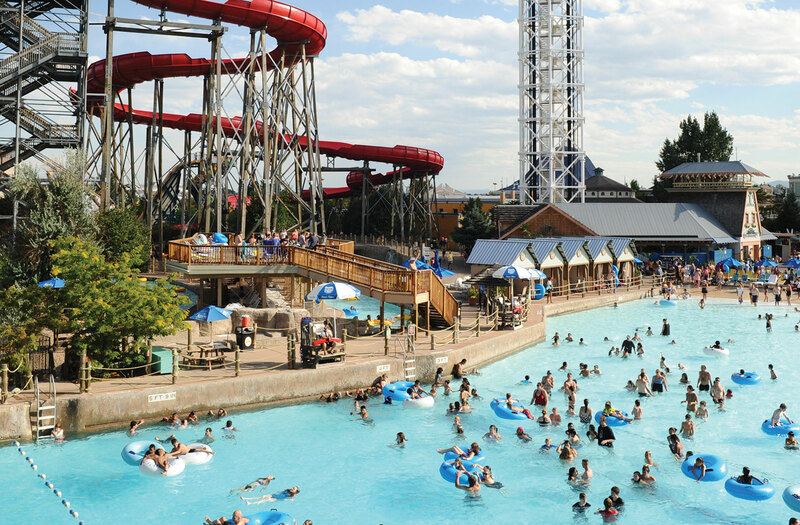 From alpine lakes to rushing rivers to water parks, we’ve got more than 2,000 splash-worthy watering holes and tons of ways to beat the heat with these summer activities and family attractions. Colorado’s deepest and largest natural lake, Grand Lake lies just one mile from the western entrance to Rocky Mountain National Park. Take in the panoramic views while relaxing in the refreshing water of this idyllic mountain lake. Nearby Lake Granby also offers delightfully cool water and boating opportunities. One of three reservoirs that make up the Curecanti National Recreation Area, the Blue Mesa Reservoir between Gunnison and Montrose is the largest body of water in Colorado. Drawn to its sparkling waters, people flock here each summer to swim, boat and windsurf. Its neighbor, Morrow Point Reservoir, offers guided boat tours into the imposing Black Canyon of the Gunnison National Park. Colorado boasts some of the best whitewater rivers in the country, as well as expert rafting guides who can help you make the most of your day on the water. Arkansas River Headwaters Recreation Area, with rapids ranging from family-friendly to adrenaline-spiking, is one of the country’s most popular spots for rafting and kayaking. Thrill-seekers can’t go wrong with the Upper Animas River, which offers Class IV and V rapids, recognized as some of the toughest commercially rafted waters in the country. Those who would prefer to get their thrills from the scenery rather than the ride should try the gentle Uncompahgre River, which winds through the exquisite San Juan Mountains.